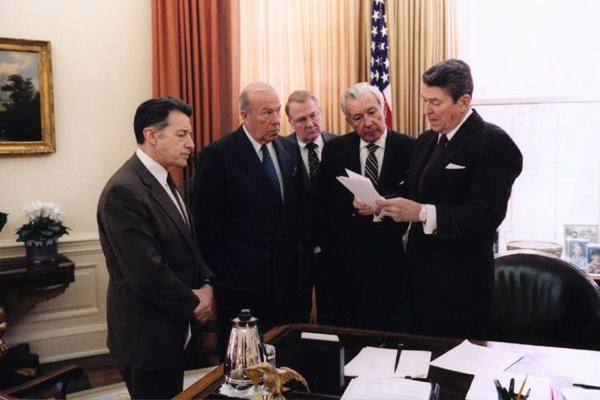 President Ronald Reagan with Caspar Weinberger, George Shultz, Ed Meese and Don Regan, Nov. 25, 1986 (White House photo from the Ronald Reagan Library). In the early 1980s, U.S. military strategy had lost its bearings. Rocked by a decade of bloody, expensive and divisive counterinsurgency in Vietnam, Americans could not agree on how to use their military in a way that would both promote the national interest and reflect national values.